London-based design and tuning house Autodelta have release the first official images of its potent new creation, the 328bhp Autodelta Alfa Romeo 147 GTA 3.7 V6, ahead of its public debut on Thursday at the MPH03 Motor Show in Earls Court. 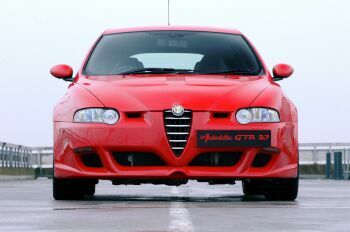 Based on the quickest hot-hatch developed by Alfa Romeo to date, the Autodelta Alfa 147 GTA is the result of extensive mechanical modifications to the current standard model, in order to enhance the latter’s sporty character. 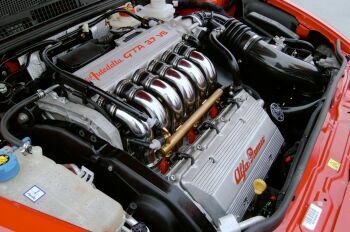 Autodelta’s Alfa 147 GTA is powered by a bored-out version of the existing 3.2 V6 unit, with engine capacity now up to 3750cc, delivering 328bhp at 7300rpm and capable of reaching 175mph. New steel billet camshafts, a Ferrari-derived larger throttle and suitable re-mapping of the engine all quicken driving response and help achieve performance levels not found in any other current sports hatchback. A bespoke stainless exhaust system, with new manifolds at the front and quadruple tailpipes at the back give the new engine a wide breathing range: 260lb ft of torque at 4700rpm are at the driver’s disposal, and the rev redline stops just short of 8000rpm. 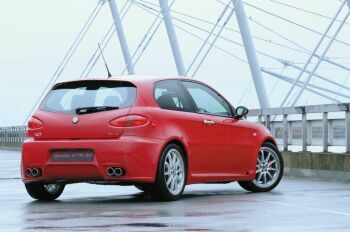 A limited slip differential (with 30% progressive lock) has been added to the package – the standard Alfa Romeo 147 GTA does without it – to help transform the extra power into tarmac-gripping performance via a new, stronger clutch, and custom-built 7.5 x 18” light alloy wheels wearing 225/40 tyres. Autodelta has also upgraded the suspension set-up, with uprated bushes, height-adjustable dampers with new coil springs and revised geometry settings for maximum body control. Meanwhile stronger, heat-treated brake discs with special compound pads have been added to cope with the extra power. 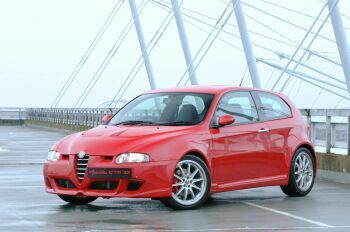 Autodelta’s own styling and manufacturing arm Creativestudio, has given Autodelta Alfa Romeo 147 GTA a new, distinctive and even sportier look by adding a specially designed lightweight bonnet complete with air vents. 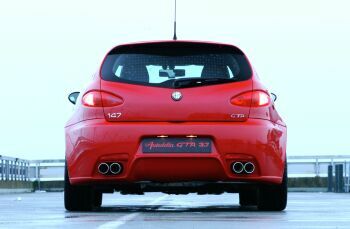 The rear bumper, now housing a quad tailpipe exhaust, has undergone more substantial changes. Autodelta 147 GTA is strictly customer-built, and each vehicle will have its own plaque carrying the serial number. ‘We have already received more than 20 orders from both the UK and abroad, ahead of the car’s official launch’ says Jano Djelalian, ‘and we felt that the MPH03 Motor Show was the most suitable venue to showcase such limited-run example of how one can always personalise and enhance timeless sportiness and powerful performance’. The Autodelta Alfa Romeo 147 GTA will be unveiled at the MPH03 Motor Show, in Earls Court, London on Thursday at Gallery 0-60, stand GL32.